Sharing a fun shot I captured at a session last week. 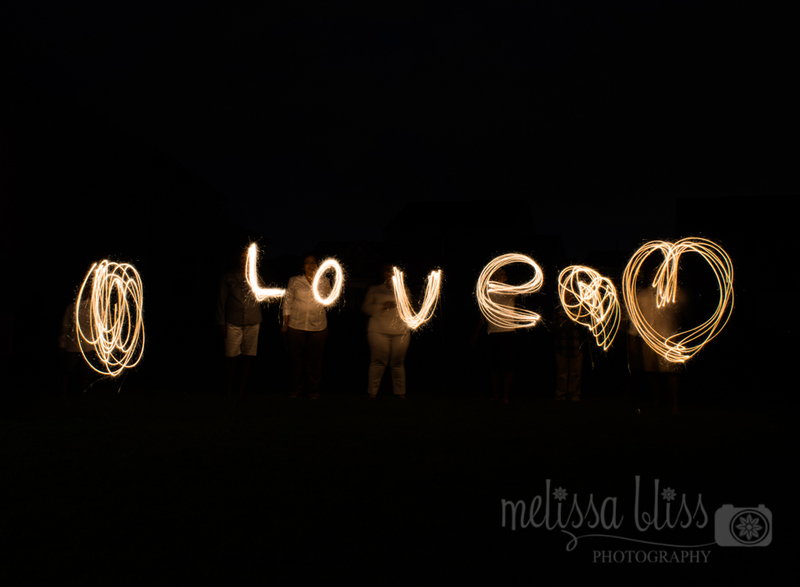 My client requested some sparkler shots. I had never tried this before. It was pretty easy to set up and execute. The most difficult part is getting the subjects to keep the pattern of motion the same so that you end up with clear lettering for the words. Those came out super cool!! I so need to try that! Cute! That does take some synchronicity! Way to go!